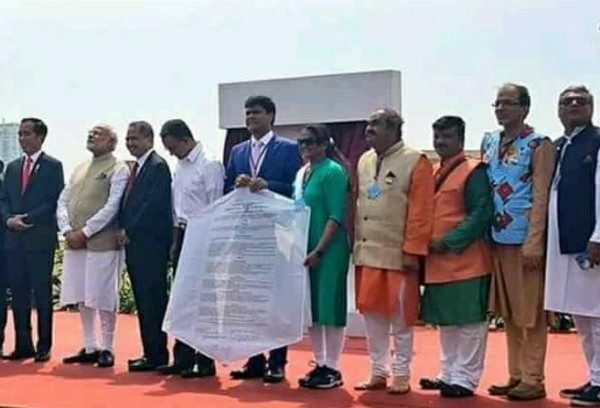 Sandesh Kaddi our very own Kite flyer from Belagavi who is Founder of High Flyers, Belgaum Kite Club and Co-founder of Indian Kite Federation (IKF) had an honor to be a prestigious part of Prime Minister’s Delegation at Jakarta, Indonesia on 30th May 2018. This unique hobby of Sandesh Kaddi has brought glories not only to him but to Belagavi as a whole. 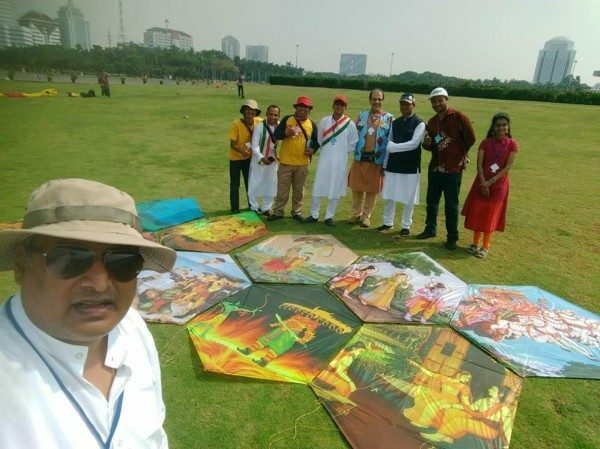 Being a recognized International kite builder and flyer, Sandesh travels overseas frequently taking Belagavi to the Global platform through his kites. The Cultural MOU was signed between the two countries (India-Indonesia) to extend the ties of friendship and one of the sources was through KITING, further adding another most supreme and honorable feather in the cap of Sandesh Kaddi’s kiting arena. This MOU was signed between Ahmadabad Kite Museum and Liyang-Liyang Museum, Jakarta, Indonesia. The kite indeed made the bridge between two countries. The Delegation had the honor of shaking hands and exchanging MOU’s with The Prime Minister of India, Shri. Narendra Modi and The President of Indonesia Joko Widodo on this historic event. 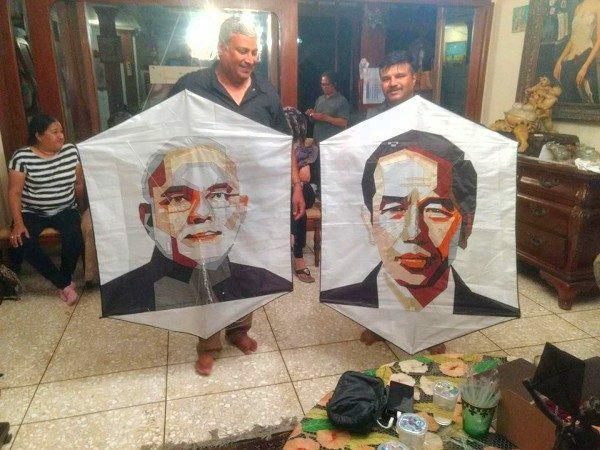 As India and Indonesia has similar religious background, the kites too were exhibited in the theme of Ramayana and Mahabharata that signified the rich cultural heritage both the countries share.